Condition: 8.5/10. Item in excellent condition. No scratches or dents. Comes with original remote control. 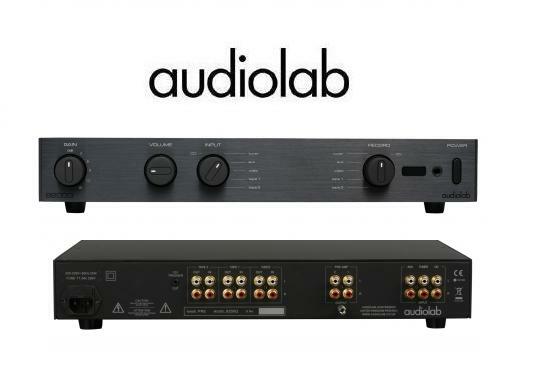 The Audiolab 8200Q is a high quality controlled Pre Amplifier equipped with a variety of input and output connectivity options perfect for use when connecting to multiple power amplifiers. The Audiolab 8200Q pre amplifier is an update to Audiolab's previous 8000 range, but don't be fooled - far from a cosmetic update, Audiolab have completely revised the Audiolab 8200Q pre amplifier so each component offers a class leading performance. Each item in the new Audiolab 8200 series has been designed to offer stunning sonic performance in addition to as many features and connection options as you could wish for, allowing you to build a complete and sonically matched Audiolab system, or add any of the range to your current hi-fi system.